When a Staff Member Leaves, What Should You Say on Sunday? Losing a staff member for any reason can be hard on you as a leader. It’s a difficult process. After all, your church staff is in some ways like family! Pastors often call and ask if they need to make an announcement on Sunday morning when a staff member leaves their church. Good question. In addition to the pressure that a leader carries to handle a staff transition well, how that decision is communicated and to whom really matters. This article is not about the decision regarding a staff member leaving, (and regardless of whether it was your decision or theirs) it’s about how to handle the communication when the decision is made. Before we jump in, let me ask you a question. 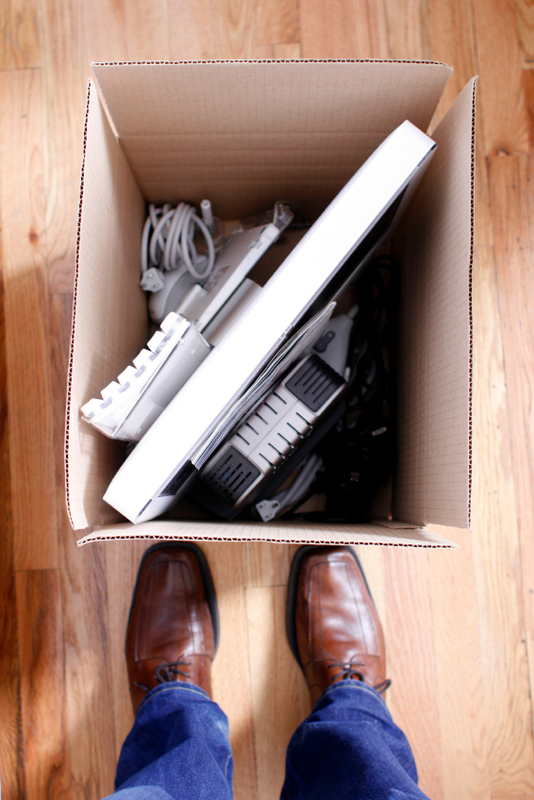 Do you feel compelled to tell the congregation when a staff member leaves? If you do, why do you feel this way? Have you considered that it’s not necessarily or automatically a good idea? Some leaders push back and say it’s because the church is family, and everyone should know. That’s one perspective, and fair enough. Others get very candid and own a little insecurity that brings with it a need for the congregation to like them, which shapes who they tell and how. Some admit it’s an authority issue, and involves keeping control. It may be nothing like that for you. It may be no more complex than a tradition of communication. Every church culture is different but here are some guidelines to help you know how to handle these situations. You may agree or disagree with some of my thoughts, but in the end, if they help you gain clarity, it’s good! 1. Announce from the platform only when it is clearly necessary. Larger churches rarely take platform time for most staff changes. It’s a worship service, not a business meeting. It is usually smaller churches that announce the “comings and goings” of staff on a Sunday, and it’s not typically the best use of your precious and limited amount of time for the service. It is typically announced because of the family feel, expectation, and the fact that it’s always been done that way. But keep in mind the reasons your people come to church, and the big picture purpose of a worship service. 2. Your congregation needs to understand there is a difference between the business of the church and the ministry of the church. The hiring and firing of staff is not a congregation wide issue. You would never expect your favorite restaurant to call you when they changed managers! Even if you didn’t like what the new manager did to the menu! Staff change is not a secret. The board, key leaders and staff should be thoroughly in the know, but their responsibility is to make the decision, and they should not need to “explain” it to a large group of people who really don’t understand all that is involved. 3. The decision is not based on resignation vs. termination. 4. Share the news as far as the staff member’s influence extends. When you tell the entire congregation, it’s often “news” out of context. Especially as the church gets larger. When you share with the connected group, it makes sense relationally and honors those who are directly impacted. For example, if your part time children’s leader is leaving, gather all the children’s ministry volunteers and make the announcement there. Answer appropriate questions and express appreciation. Always stay positive even if the leaving is a difficult one. Your worship pastor is an example of someone you may feel compelled to announce from the platform. That makes sense. His or her influence extends to the entire congregation. My advice is to keep it brief, and handle the appreciation or tough questions in a smaller gathering. 5. Always be honest, but don’t give personal information. When you do gather the group in an appropriate environment, remember that you are not giving an explanation, you are giving information. Share from your heart and be honest, but never publically communicate personal stuff. Be sure to include the other staff members first. They carry the weight of leadership in your church and it’s important that they know early about staff transitions. 6. Generosity is always a good idea. You will never go wrong with a generous spirit. Even if the staff member who leaves makes things difficult, take the high road if at all possible. In most cases, especially when maturity is evident, staff transitions can be very positive. Be generous with gratitude. Let them know how much you appreciate them. Have a party! Celebrate the good things they accomplished! 7. Make the change slowly. You might start this process of change by not announcing the leaving of a part time support staff member. Then perhaps a part time ministry team member, then full time… you get the idea. Don’t break tradition too fast or you may be the next to go! Discuss this rationale with your key leaders before you do it. The overall purpose is to position your church for “new behavior” as it gets larger. (In really big churches there would be an announcement a couple times a month — which is not what you want to do with a worship service.) The earlier you make this change the easier people adjust to it. Staff changes are never easy to communicate, but done correctly your leadership and congregation will be stronger and you can focus on the real mission of the church! Next PostIs Your Church Designed to Grow or Destined to Grow?